BUCYRUS — Absentee ballots have arrived at the Crawford County Board of Elections for the general election to be held on Tuesday, Nov. 6, 2018. 8 a.m. to 2 p.m.Monday, Nov. 5, 201. Absentee balloting by mail ends on Saturday, Nov. 3, at noon. 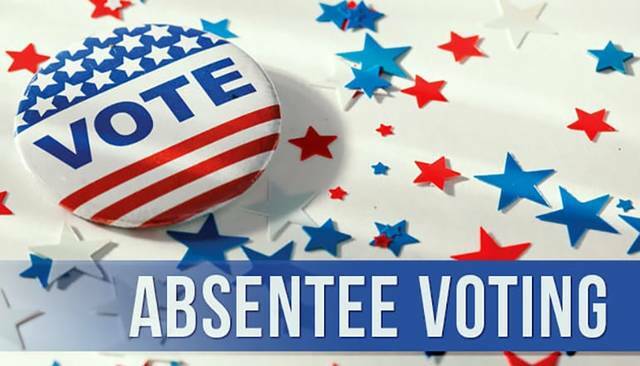 Absentee balloting in person ends Monday, Nov. 5, at 2 p.m. The Crawford County Board of Elections office will be open until 2 p.m. on Monday, Nov. 5. for absentee voting. Absentee ballots must be returned to the Board of Elections office by 7:30 p.m. on election day. Remember, the board of elections office has moved across the street to 112 E. Mansfield St., in the Lower Level of the County Administration Building. For more information, call 419-562-8721.